USA 1988, 2nd edition. 248 pp, 113 color photos, maps. 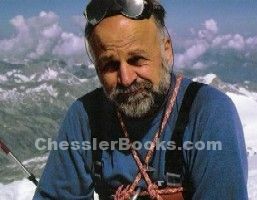 Messner's ascents of the 14 8,000-meter peaks, all without oxygen and many solo, is the greatest mountaineering feat of all time. 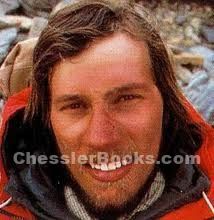 In addition to the stories of his climbs, this book is a reference for the 8000 meter peaks. The answers to these questions can be found in this revealing memoir. Through engaging text and full-color and black-and-white photos, readers will get a glimpse of the preparation, organization, and running of an expedition, and share rare moments on the summits of the world's highest peaks. Large hardcover with dust jacket, Near Fine-Fine. Austrian native Robert Schauer is both an expert mountaineer having completed some of the world�s most difficult climbs including a winter summit of Eiger North Face, Gasherbrum IV - West Face, and five of the world�s 8,000 meter peaks -- Mount Everest (twice), Hidden Peak, Nanga Parbat, Makalu and Broad Peak, and an expert filmmaker. He is the founder and director of the international Mountain and Adventure Film Festival in Graz, Austria and has produced or co-produced a dozen films for Austrian and international television as well as Austria�s tourist board. BEYOND EVEREST: QUEST FOR THE SUMMIT OF DREAMS. SIGNED by Pat Morrow, Gerry Roach, Wally Berg, Robert Anderson, Baiba Morrow, Reinhold Messner, Eric Simonson, Vern Tejas.